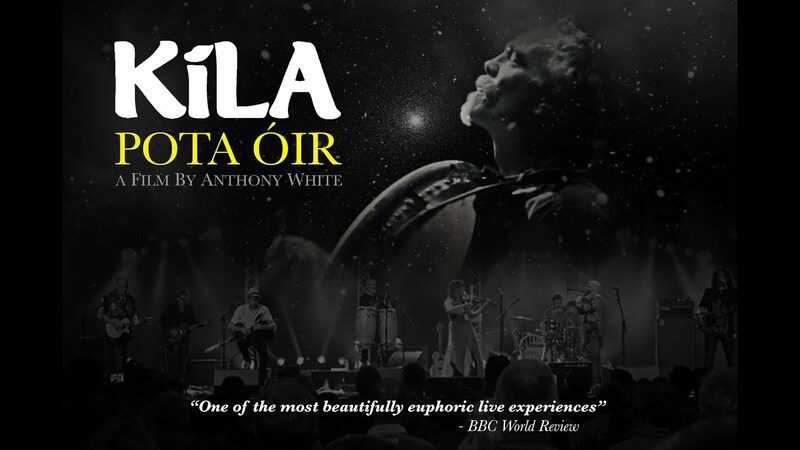 Kíla Pota Óir is a portrait of one of Ireland’s most respected cult bands who merge folk and world music traditions into a euphoric live experience. Now in their 30th year, Kíla, formed by a bunch of musical youths in Dublin’s Coláiste Eoin, has come to be considered one of Ireland’s most exciting and innovative bands. Their unique and ever-evolving sound, while rooted in tradition, is inspired by a myriad of influences from musical traditions around the globe. Director Anthony White followed the band on tour, capturing the infectious vitality of their performances in Wicklow, Dublin and the Cambridge Folk Festival. The film combines generous swathes of concert footage, candid interviews, and intimate backstage moments to create a lively record of one of Ireland’s most acclaimed live acts.